Fans of Angry Birds Space downloaded the game 10 million times in less than three days after launching Thursday for Android, iOS, Mac and Windows, Game maker Rovio said Monday. Angry Birds Space is the fourth version of the popular mobile slingshot game and the first new game since Rovio introduced Angry Birds Rio in March 2011. 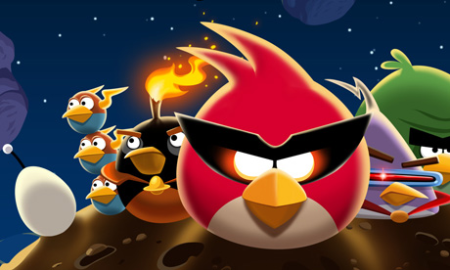 Pricing for Angry Birds Space ranges from $0.99 for iOS and a new ad-free version for Android up to $6 for Windows PCs. Angry Birds Space looks likeanother runaway hit for Rovio. Despite offering 60 new levels at launch, some users are alreadybegging for more after finishing the latest pig-smashing fest over theweekend. Rovio game maker is promising new freelevels will be comingto users in the near future, but the free updates are not quite readyfor release yet. The latest version of Angry Birds not only changeslocation, but adds entirely new ways to play the game accounting forspace faring issues such as gravitational fields and orbitaltrajectories. Angry Birds Space also adds a few fun touches such as (what I assume tobe) wormholes that transport you out of the regular Angry Birds Spacequadrant and into hidden levels that are homages to classic video gamessuch as Space Invaders, Super Mario Bros., and Breakout. Despite a big launch that included massive download numbers and a bigol’ angry bird attached to Seattle’sSpace Needle, Angry Birds Space appears to be frustratingsome users. A number of gamers are complaining of continual crashes oniOS devices such as the iPod Touch(4th generation), and, as I reportedon Thursday, the original iPad. Rovio’s current advice for anyoneexperiencing crashes with the new game is to reboot their device. In mytests, the reboot did the trick and I have been happily hurling birdsacross the vacuum of space ever since. To reboot an iOS device press and hold the sleep/wake button at the topof the device until you see a slider that says “slide to power off” andthen slide your finger across the button. You turn your device back onby pressing and holding the sleep/wake button again until the Applelogo appears. Connect with Ian Paul (@ianpaul) on Twitter and Google+, and with Today@PCWorld on Twitter for the latest technews and analysis.